In another Summit debut, the one-day 3D Stereoscopic Gaming Summit will be the first GDC event to explore the world of 3D stereoscopic gaming in depth. With 3D-capable movies such as Avatar and Alice In Wonderland topping the worldwide box office for multiple weeks, and graphics engine companies and console manufacturers alike touting the rise of 3D in gaming, the 3D Stereoscopic Gaming Summit will gather industry experts to explain and demonstrate the latest advances in the area. Sessions will cover how to build 3D support into future games, potential technical barriers and solutions, and an analysis of key trends surrounding hardware adoption and penetration. Returning to Austin after its successful debut in 2009, the third iPhone Games Summit will once again bring together top game developers from around the world to share ideas, best practices and discuss the future of this revolutionary platform. This one-day summit, paired with the iPad Summit on the following day, will focus on driving business and marketing strategies and how to truly succeed through micro-transactions through the iPhone 4.0 operating system and beyond. With advice from successful iPhone game companies, leading speakers and advisors in the space this event will be a must-attend for those in the space, or just looking to learn more about this space. The 2010 Game Narrative Summit, evolving in name and intent from the long-running Game Writers Summit, is dedicated to exploring the state and future of storytelling in video games - all the way from emerging independent and social game experiences to the biggest AAA game titles. The two-day event will span all facets of the game story-making process and will bring together experts from the writing, design and creative game communities to showcase what interactive entertainment can do with storytelling - and why it's so vital to the future of video games. Sessions will address the art of writing scripts that seamlessly integrate into major console and online game titles with the new breed of story experiences, centered in anything from ARGs to Facebook games. "With this new batch of specialized summits, GDC Online proves once again that this event is at the forefront of the emerging technologies and platforms of the future," says Izora De Lillard, Event Manager of GDC Online. "Alongside the key online game event this October, we're proud to present these summits on the new technologies that make a difference in today's game business." In addition to these Summits, the three days of GDC Online main conference sessions will offer a host of business, marketing, design and technical content vital to those making social network titles, free-to-play web games, kid-friendly online titles, larger-scale MMOs, or experimenting with other online gaming genres. 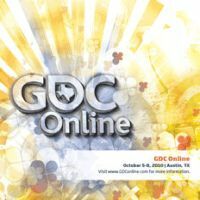 GDC Online 2010 takes place at the Austin Convention Center in Austin, Texas from October 5th to the 8th. The call for submissions for both GDC Online summits and main conference sessions will open in the near future, and more information will be available at the GDC Online website in the near future.